Much of the day in Israel Warns about 70 incoming missiles and grenades intercepted by Israel's Iron Dome Defense System. Israeli Prime Minister Benjamin Netanyahu said that Hamas and the Islamic Jihad, which shared responsibility for the attacks, were "paying a high price". Israeli media reported that Netanyahu met with defense chiefs on Tuesday evening to assess the situation. A spokesman for Iran-backed Islamic Jihad said the militant groups had reached ceasefire with Israel through Egypt's mediation. An Israeli military spokeswoman refused to comment on the allegation. The Israeli Prime Minister's Office did not immediately respond to requests for comments. 20 Palestinians since March 30, most of them in protests urging the Palestinians to reclaim land lost in the battles for Israel's founding in 1948. The organizers have called the demonstrations peaceful, but violent cases have emerged. Israel said it had acted against militants who used the rallies as cover for attacking troops and invading Israeli territory. On Tuesday, three Israeli soldiers were injured, two slightly and one-third moderate said. 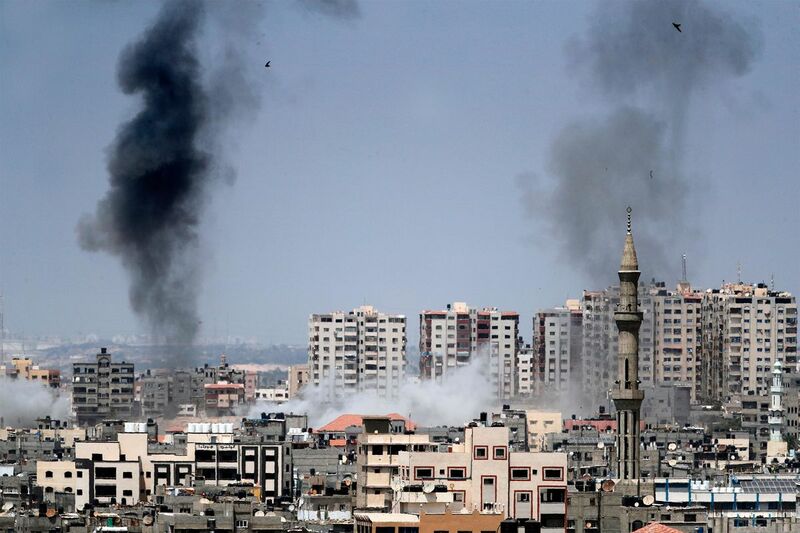 Israeli officials signaled that they did not seek an escalation, but warned that the continuation of the shelling from Gaza could lead to a tougher Israeli reaction. The United States called for an emergency meeting of the United Nations Security Council to discuss the attack on Israel. The meeting could take place on Wednesday afternoon, the US mission told the UN. As part of their protest campaign, the Palestinians on Tuesday launched a ship from the Mediterranean coast of the Gaza Strip to break the Israeli blockade of the territory to spokesman Sallah Abdulati. The ship was picked up by the navy and towed to an Israeli base, the army said. Israeli military spokesman Lt.-Col. Jonathan Conricus called the launch an "illegal attempt to break through a legal naval blockade of Gaza" and unmasked it as a publicity stunt.